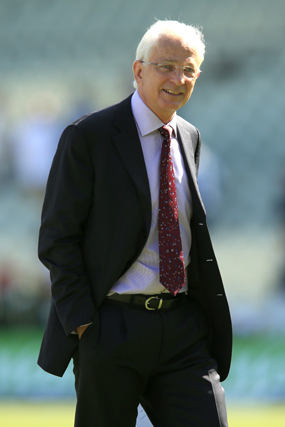 David Gower interview. The broadcaster and former cricketer selects his 50 greatest cricket players – where do Botham, Athers and Nasser come? How do you go about choosing the 50 greatest cricketers of all time? As David Gower tells us with, great difficulty. The former England captain talks about his new book counting down the game’s best ever players. As a former ashes winning captain and cricket hall of fame inductee, not to mention the scorer of over 8,000 test match runs in a 14 year international stint, David Gower enjoyed a career the envy of most English cricketers. So it stands to reason that the batsman-turned broadcaster knows a thing or two about the game. His new book, David Gower’s 50 Greatest Cricketers of All Time, goes about proving just how much he does knows by counting down the best half century of players the game has ever produced, complete with anecdotes and inside stories, in the definitive list of cricket stars – as the 64-year-old sees it. The book surmises that legendary figure Don Bradman is the best player to have ever lived, one of 13 Australians to make the cut, the most from a single country. There are four West Indians in the top 10, while there are seven Englishman in the list, with only Kevin Pietersen from the modern era. It’s an interesting, at times controversial list which that will make for lively discussion in the Sky Sports commentary box. Gower is joined by Aussies Shane Warne (number four on the list) and Ricky Ponting (34) and former England captains Ian Botham (12) and Michael Atherton and Nasser Hussein – neither of whom make the cut. Will the book not guarantee some needle among the commentators? “Well there’s no guarantee that any of them will have read it! And Atherton and Hussein are well aware that they don’t deserve to be in the world’s top 50. They’re not upset. The line is that anyone not in the book is of course number 51. So there are a lot of number 51s who didn’t make the cut despite their obvious talents and qualities. The Brian Close Affair – Class Prejudice in Cricket?